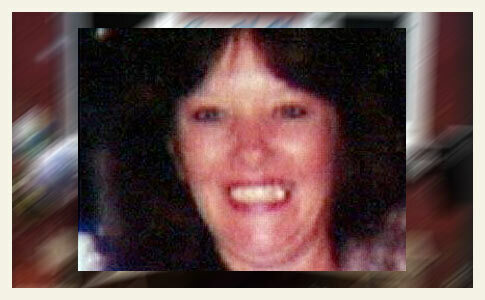 Linda Leal, 51-years old, was mauled to death by her pit bull-mix. UPDATE 01/05/11: The Colusa County Coroner's Office reported that the victim was alive during the mauling. The time of death has not been determined and the cause of death is pending toxicology tests. Sheriff's Lt. Shane Maxey said the toxicology tests are needed "to make sure she didn't have something in her system that put her in that position." But it is unclear what position Maxey means. A healthy adult man may have been defenseless in the same position. The latest Appeal-Democrat article also notes that the family had a second dog, who had a history of violence, that was penned at the time of the fatal mauling. The dog was euthanized with Mr. Leal's consent. 1Extensive head and neck trauma is nearly always fatal and an unlikely area for a dog to grab hold of for the purposes of dragging a person to safety. "She has some trauma to her neck. It kind of looks like she was mauled by a dog," said interim Colusa Police Chief Ross Stark. He said the Leals had two dogs, but the one with a history of violent behavior was penned up." Neighbors are convinced that the dog was only trying to help its already injured owner because the victim was so close to her dogs. Liver cancer is nothing to sneeze at, MAYBE this was a case of assisted suicide? The most fascinating quote to me is, "We NEVER had a problem with this dog. Even with kids running around." How many times have you heard that, folks? Merritt Clifton, "If a pit bull terrier…has a bad moment, often someone is maimed or killed–and that has now created off-the-chart actuarial risk, for which the dogs as well as their victims are paying the price." Oh, the horror of being eaten alive, and by one's own pet! That strikes the most primeval fear into my heart. "Neighbors want to believe that the dog did not attack Leal, but tried to 'drag her to the house in safety' after she fell or was injured." I burst out in laughter at the nutters' ignorance after reading that part. They'll say anything to protect their inherently vicious dogs. But at the same time, it makes me sad that people actually do make outrageous claims just to keep the maulers around to kill more people. It also makes me scared that any one of us could be next if we happen to be in the same general area as a pit bull. If the nutter neighbor's pit bull kills me, what are the rabid advocates going to say after my death? Actually, I'm not sure I want to think about that. Truly tragic. It shows how dangerous these dogs and their misinformed (or ignorant) owners can be. Most of these people know exactly what they have, thats why they have them.